It’s not a problem they talk about in video game commercials, but it happens all the time: sweaty gamer hands. When you have your hand on a mouse for hours at a time, furiously playing Diablo 3 while simultaneously eschewing work, you tend to work up moist palms. Finally, someone has addressed the issue by attaching a fan to a mouse. 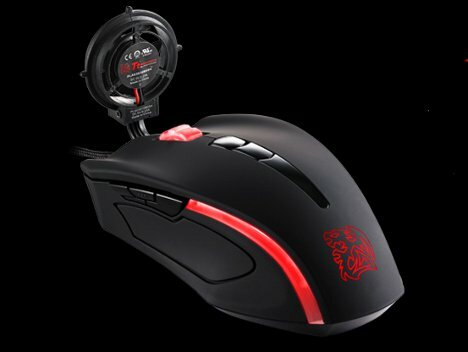 The Black Element Cyclone Gaming Mouse from TT eSports is a high-performance gaming mouse that promises to blow away your gaming tension. But in case you ever get sick of the fan’s constant whir, it is removable, leaving you with a gaming mouse that is still pretty fantastic.